UPDATE: Our Kawaiahaʻo Church School Summer Program is FULL, however, we are still accepting names for our waiting list in case their are any changes/availabilities. 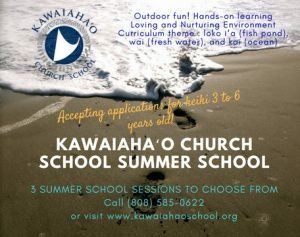 The Kawaiahaʻo Church School Summer Program is open to keiki ages 3-6. 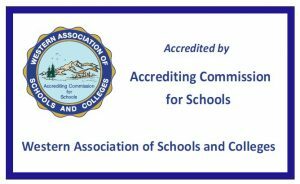 (Our 2-3 year old program is a year-round program). The program includes hands-on activities; and an integrated S.T.E.A.M. curriculum related to our home in Hawaiʻi. One huakaʻi (excursion) per session will help enhance and supplement the curriculum. All excursion costs and materials are included in the tuition.